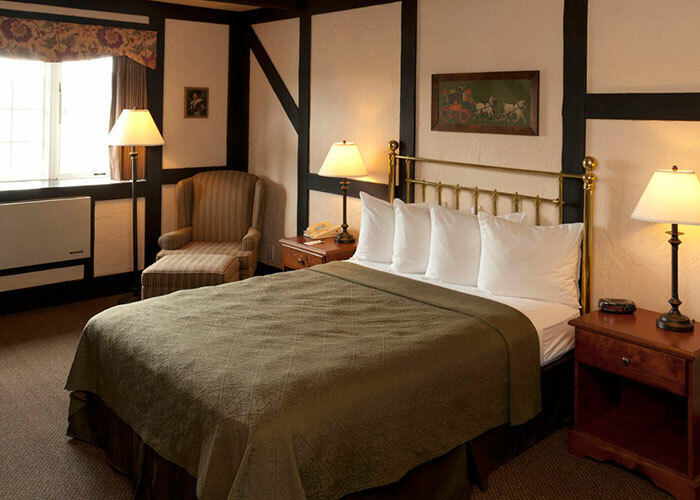 Make yourself at home in our cozy English Tudor-style rooms, beaming with old-world charm and furnished with convenient modern amenities including free Wi-Fi, adjustable climate controls, complimentary coffee and more. We hold our rooms to the highest standards of quality and cleanliness, with the goal of making you feel as comfortable as possible. Book your stay with us today. 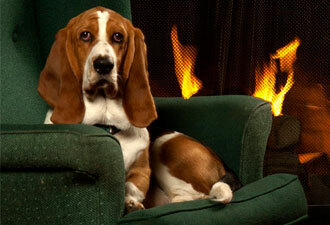 On the hunt for pet friendly hotels in Victoria? 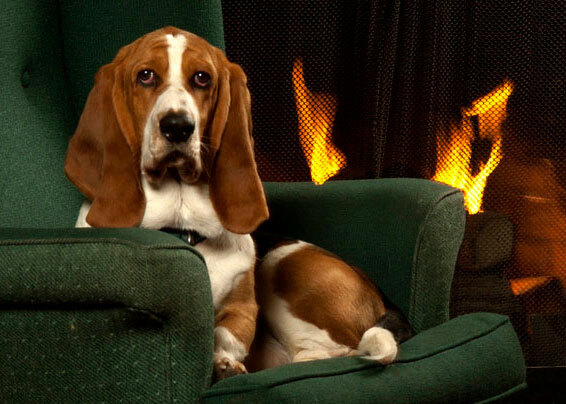 The Quality Inn Waddling Dog would be happy to welcome you and your pet to stay at our hotel. A $15 nightly charge applies. If you have any questions about our pet policy, please don’t hesitate to contact our hotel. 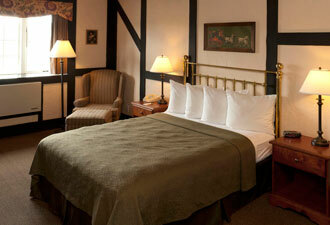 Relax on a plush queen bed in this cozy room with charming antique-style décor and modern amenities. 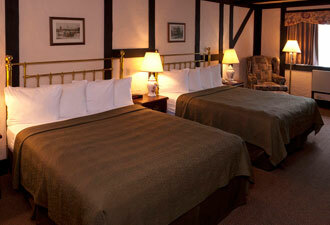 Enjoy free high-speed wireless Internet, complimentary coffee & tea, cable TV, adjustable climate controls and more. 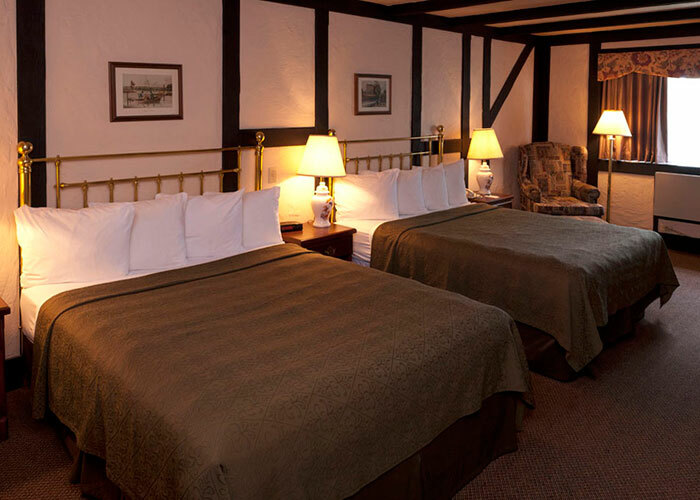 Furnished with two plush queen beds, this spacious room features charming antique-style décor and modern amenities including free high-speed wireless Internet, complimentary coffee & tea, cable TV, adjustable climate controls and more.